Search Results for "tokyo fish market"
Tokyo Fish Market Worker Using a Large Tuna Cutter Knife to Slice a Fillet of Fish into Sections. Tuna Being Thinly Sliced for Sushi at a Tokyo Fish Market. Tokyo Fish Market Worker Cutting a Big Piece of Tuna with a Large Knife. Tokyo Fish Market Worker Putting on Gloves Before Handling a Piece of Tuna Fish Meat. Tokyo Fish Market Worker Thinly Slicing Tuna into Maguro Sashimi Sushi. Tokyo Fish Market Workers Preparing to Cut a Large Piece of Tuna into Fillets. Tokyo Fish Market Worker Salting and Slicing a Fillet of Tuna into Supreme Cuts. Local fishmongers cut fresh tuna in a Tokyo fish market. TOKYO - CIRCA MAY, 2017: The main entrance to the Tsukiji fish market in Tokyo. 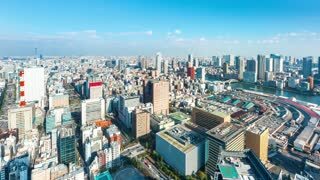 One of the largest wholesale markets for fish and seafood in Japan. TOKYO - CIRCA MAY, 2017: Tourists stand in line at the Tsukiji fish market in Tokyo. One of the largest wholesale markets for fish and seafood in Japan. Fisherman working in Tokyo Tsukiji fish market. 25fps. Fisherman working on a big tuna in Tokyo Tsukiji fish market. 25fps. Tsukiji Market Tokyo. Fish monger chopping the heads off tuna fish in a market. The Tsukiji fish market in Tokyo, Japan is a caotic place. The market will close down on October 6, and move to another location. These guys are driving fish around in small home made wehicles. 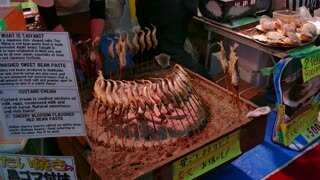 The Tsukiji fish market in Tokyo, Japan is a caotic place. The market will close down on October 6, and move to another location. This guy is rinsing a fish.